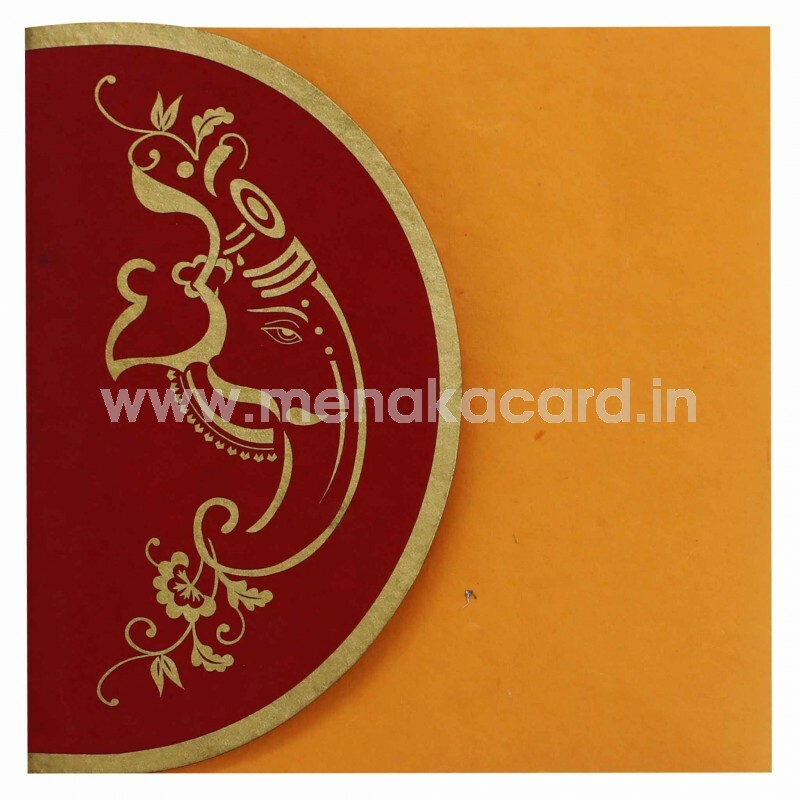 This alluring turmeric and maroon door folding card is made from a rich handmade board with a graceful circular arch housing a contemporary floral Ganesha image printed in gold. 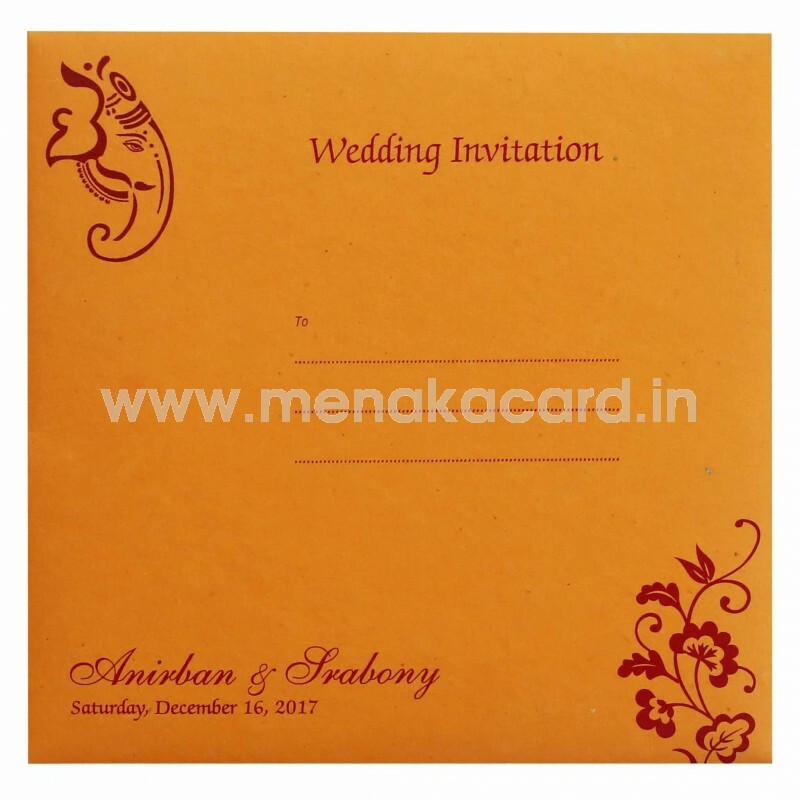 The main yellow flap opens to reveal the cardholder holding two cream inserts made form a handmade board printed with maroon text for the content. 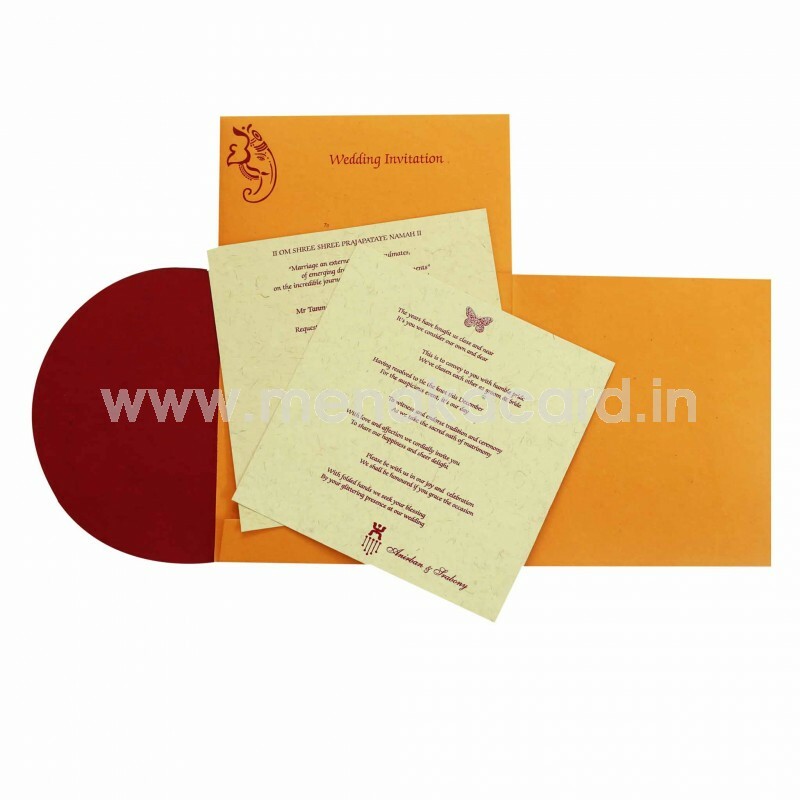 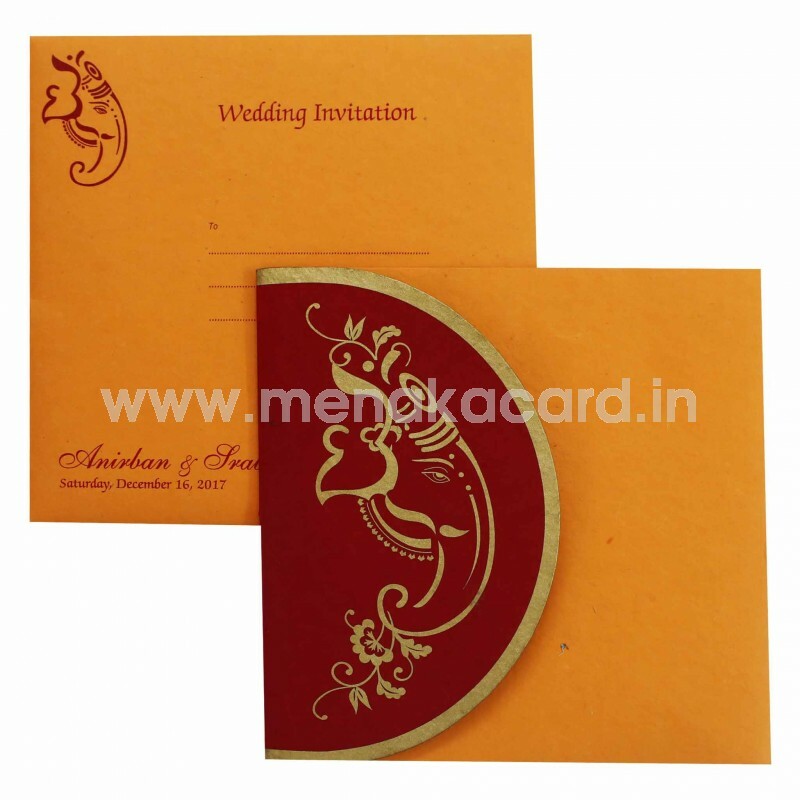 The envelope is also made from the same handmade material and is enriched by the maroon ink printed on the front. 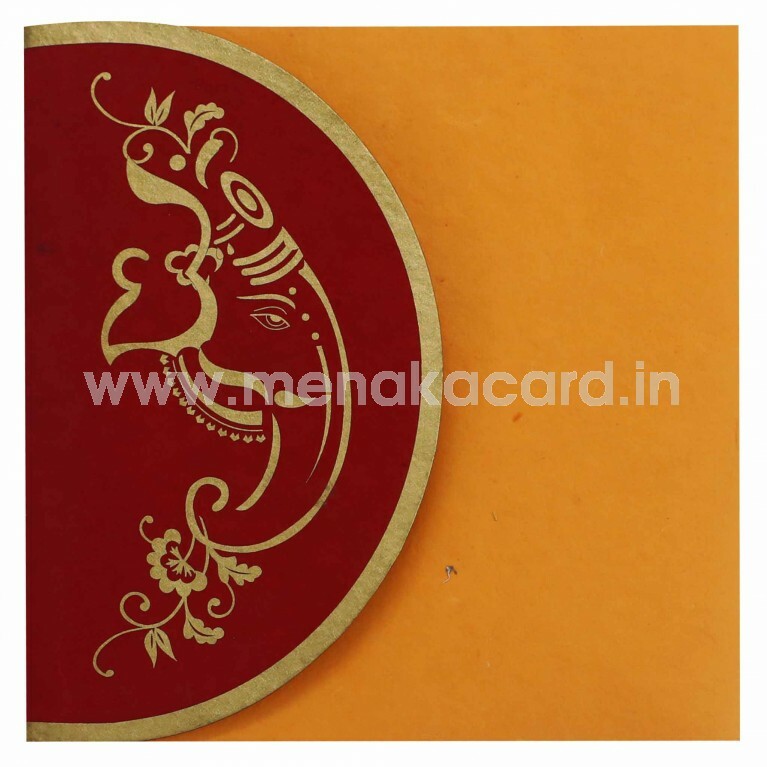 This can be used for Hindu weddings, Grahapravesham, Upanayanam, Sadabishekam, Shashtiapthapoorthy etc.